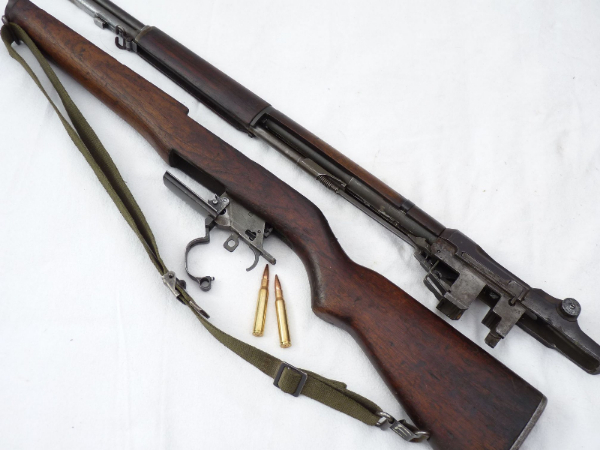 The standard issue infantry rifle of the US Army during WW2, this is the M1 Garand self loading rifle, the first semi-automated rifle to become standard issue. 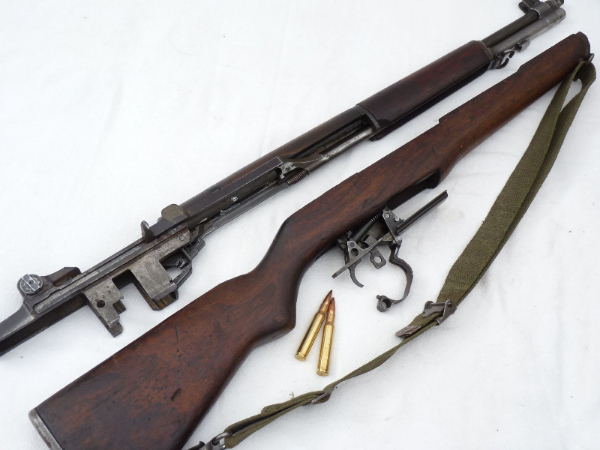 It was introduced to replace the Springfield M1903 before WW2, and continued in service right up till the Vietnam War, chambering the same .30-06 round but in an 8-round 'en-bloc' clip. 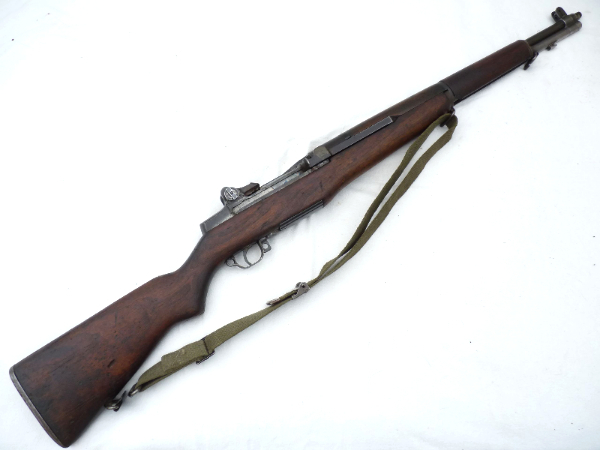 This particular example was made at the Springfield Armoury, and the serial number dates it to 1944, so possibly issued to a GI on the D-Day landings! 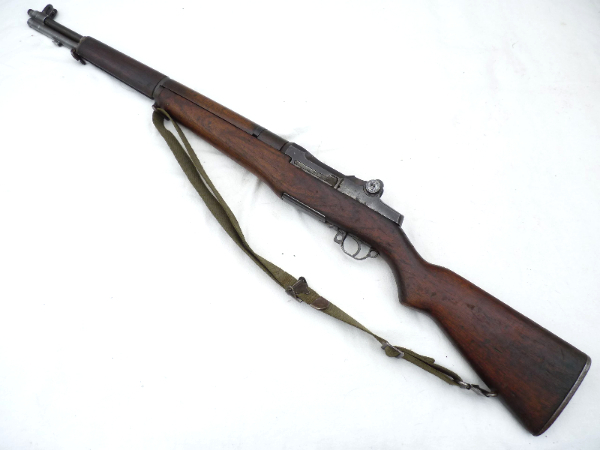 A current spec deactivation, this rifle has a sliding cocking-handle and full moving trigger, and comes complete with period sling. In very good authentic condition with sound woodwork and retaining most of it's finish to the steel. 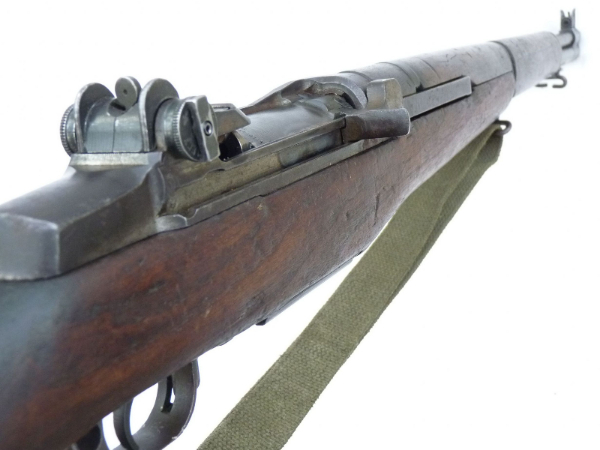 Clip of rounds shown is not included, but available for £12 extra if required. Deactivated in the UK with Certificate to UK specification.